Ebony color. Aromas of roasted nuts, toasted russian black bread, frosted spice cake, and fresh coffee with a velvety, vibrant, effervescent, dry-yet-fruity medium-to-full body and an even, compelling, medium-length creamy gelato, charred espresso bean, baking chocolate, and charred frisse finish. A bold, roasty, coffee-inflected beer with a silky texture; light enough to session. 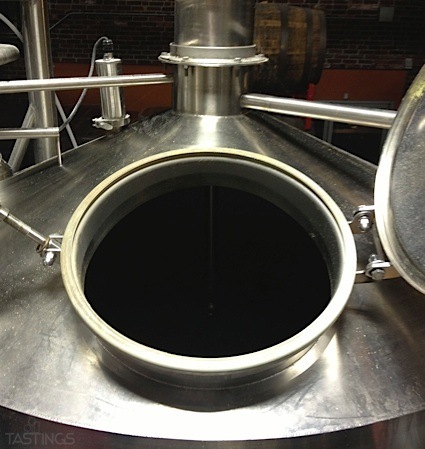 Bottom Line: A bold, roasty, coffee-inflected beer with a silky texture; light enough to session. 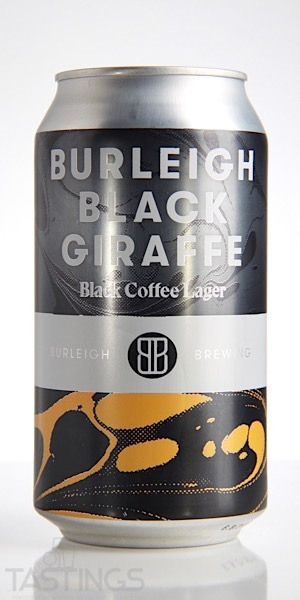 Burleigh Brewing Co. Burleigh Black Giraffe Coffee Lager rating was calculated by tastings.com to be 89 points out of 100 on 10/11/2018. Please note that MSRP may have changed since the date of our review.